All of the papers and embellishments are from BoBunny's Trail Mix Collection. The dimensional bear and tag are actually one sticker, making it extremely easy to throw together. Nicole added some black floss to the tag and alpha stickers to spice it up! 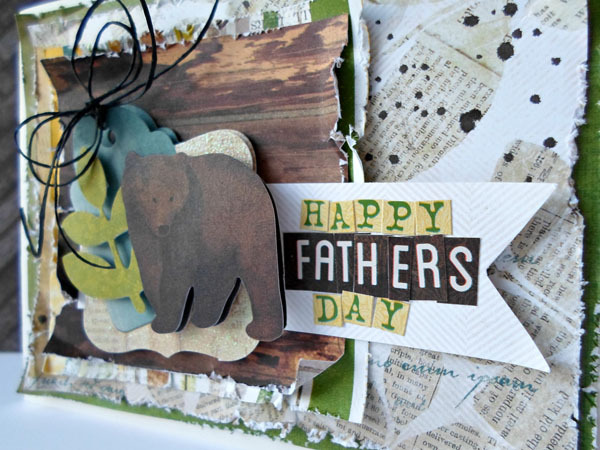 All papers were distressed with the Tim Holtz Paper Distressing Tool - We love the rustic, masculine look it achieves. Spray inks are all the rage currently. 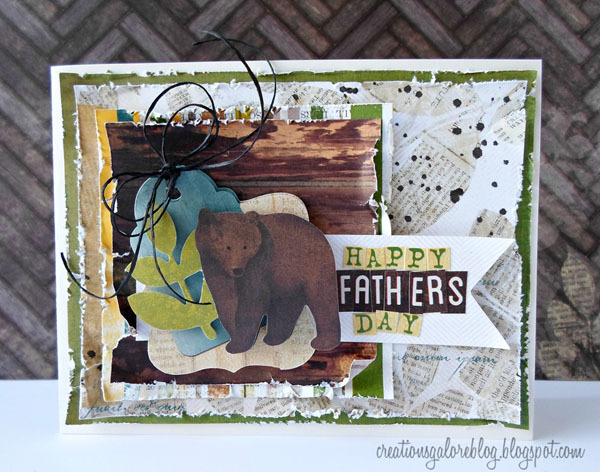 Therefore, Nicole added a few specks of brown Studio Calico mist to the background paper before adhering it to the card. It's not too late for you to whip up a Father's Day card for that special someone in your life! Head into Creations Galore and let us help you plan something extraordinary!